A delicious Jumbo Hanukkah Medallion Gelt coin filled with the finest Belgian bittersweet chocolate. 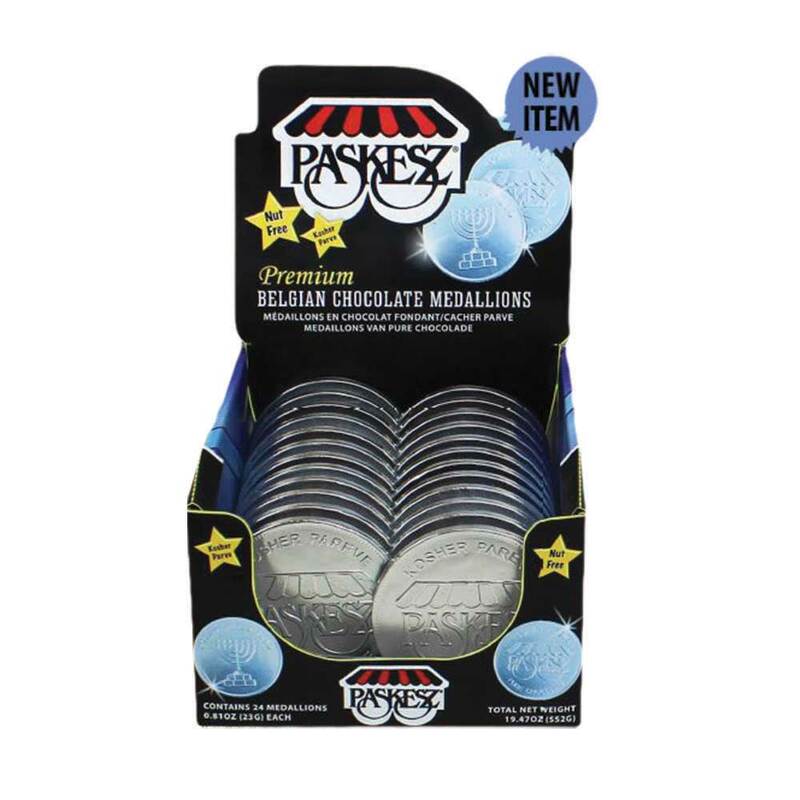 This Hanukkah settle only for the best, you cannot get any better tasting Hanukkah gelt than these Belgian coins. Rich in flavor and aroma for the ultimate chocolate noshing experience. Made in a nut-free facility. Receive a display box with every 24 pieces ordered. A tasty gift for all ages. Price reflects 1 piece, receive display box with order of 24 or more.